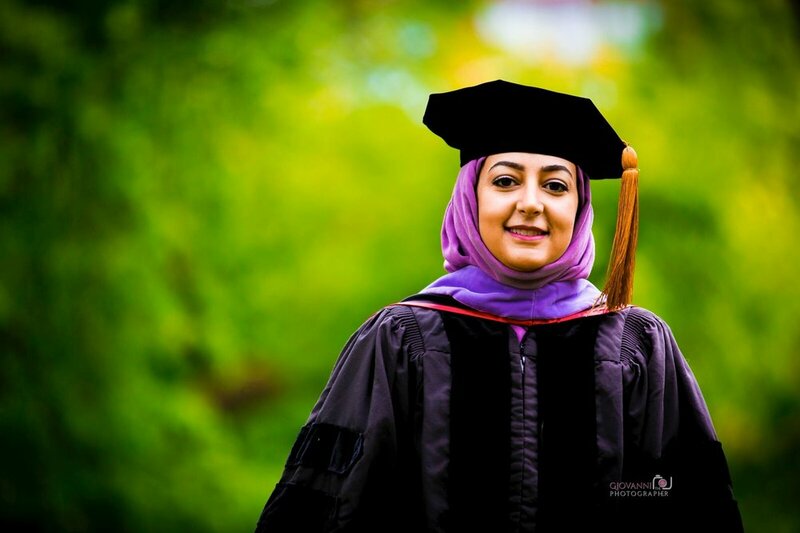 I recently had the honor of capturing Maram’s graduation photo’s on a beautiful sunny afternoon in May. 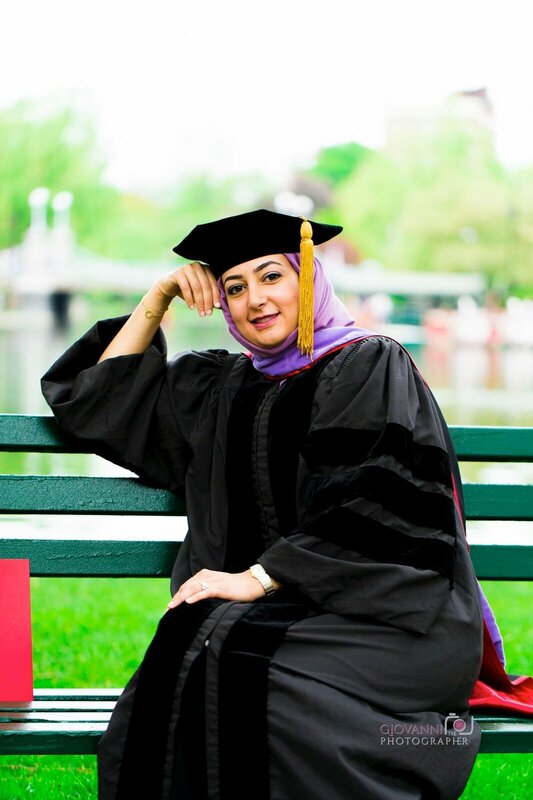 Maram is an incredibly smart woman who just graduated from Boston University with her Masters and will be continuing her education for her PhD. Although I didn’t know Maram outside of doing her graduation photography my assistant and I couldn’t help but feel proud of her. What she has accomplished already is amazing and her plans are to keep doing more of the same! Most people don’t know that Boston University started as a Methodist college in Vermont. First named the Newbury Biblical Institute, the school moved to New Hampshire in 1847 and was appointed as Boston University in 1869 after three trustees effectively brought the school to Massachusetts. 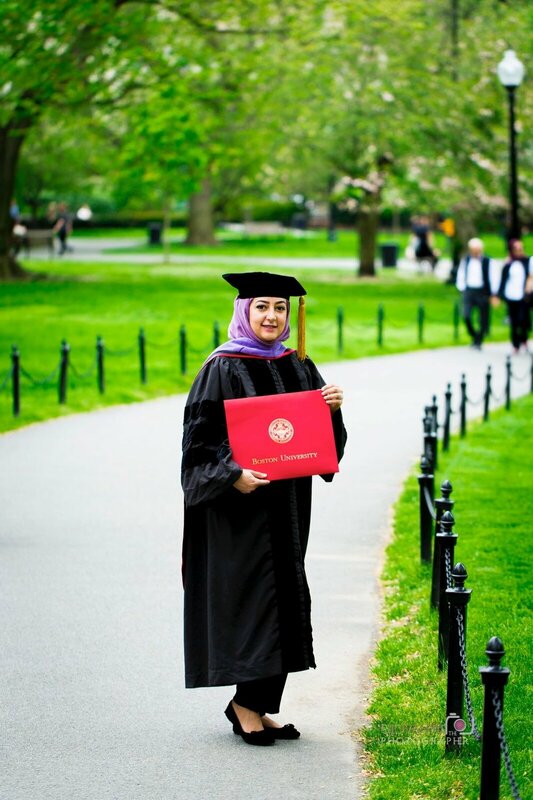 Boston University was the first university to open all divisions to female students as well as the FIRST American University to award a PhD to a woman!